The world premiere of Jimmy Cricket’s play is now just two months away. 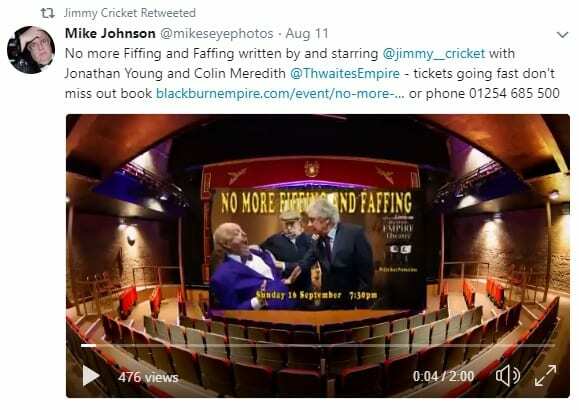 No more Fiffing and Faffing will be staged for the first time at the Blackburn Empire Theatre on Sunday 16 September at 7.30pm. 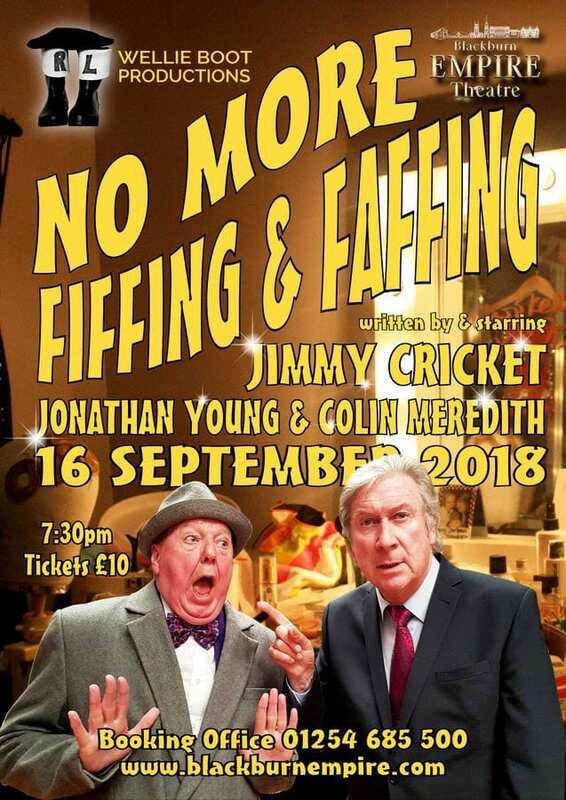 Here’s the poster publicising Jimmy Cricket’s forthcoming play, No more Fiffing and Faffing. It will be staged for the first time at the Blackburn Empire Theatre on Sunday 16 September at 7.30pm. Jimmy, 72, has previously written three musicals, Let’s Hear It For The Wee Man, Maloney’s Big Moment and Give Me One Good Season. 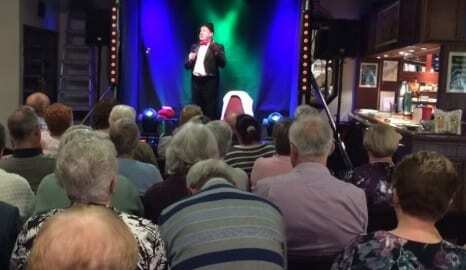 Jimmy Cricket’s new play will get its world premiere in the Lancashire town of Blackburn later this year. No more Fiffing and Faffing takes place at the Blackburn Empire Theatre on Sunday 16 September at 7.30pm. 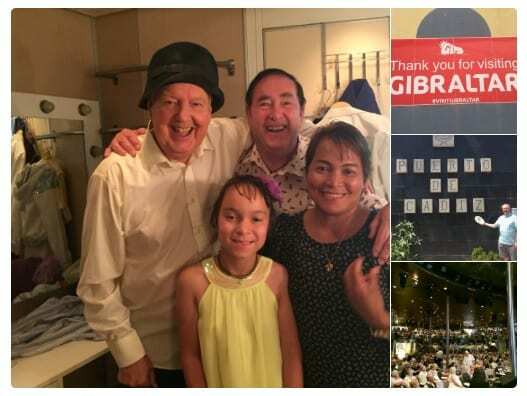 Famous comedian Jimmy, 72, has previously written three musicals, Let’s Hear It For The Wee Man, Maloney’s Big Moment and Give Me One Good Season.